Sivis Study Centre is a nationwide adult education provider that is partly funded by the Ministry of Education. The ministry also monitors the educational services Sivis provides. Sivis is maintained by the Association for Educational Activities (AEA). We organise education and training for our member organisations, which represent the fields of health, education and culture, citizens’ advice, the environment and other specific areas of activity. All of our member organisations are politically independent. 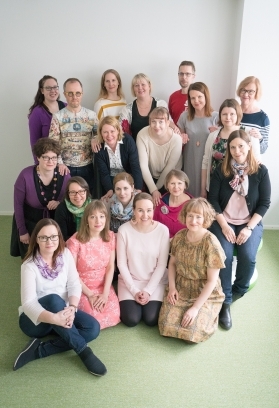 Sivis is an institute promoting non-formal adult education, which provides over 160.000 hours of education annually in co-operation with member organisations. Our forms of education include courses, lectures, study groups and projects. Our educational activities cover a wide range of subjects, which is natural considering the wide range of member organisations represented.